KPMG in the Cayman Islands will provide financial assistance of up to US$30,000 per year, up to a maximum of four and half years. This is intended to be used toward standard tuition, student fees, books and supplies, and room and board as needed. Must be Caymanian or hold Caymanian status. Should be at least 17 years of age and must have the necessary background to achieve success at a competitive university. Should have received notice of acceptance by an approved and fully accredited educational institution overseas. 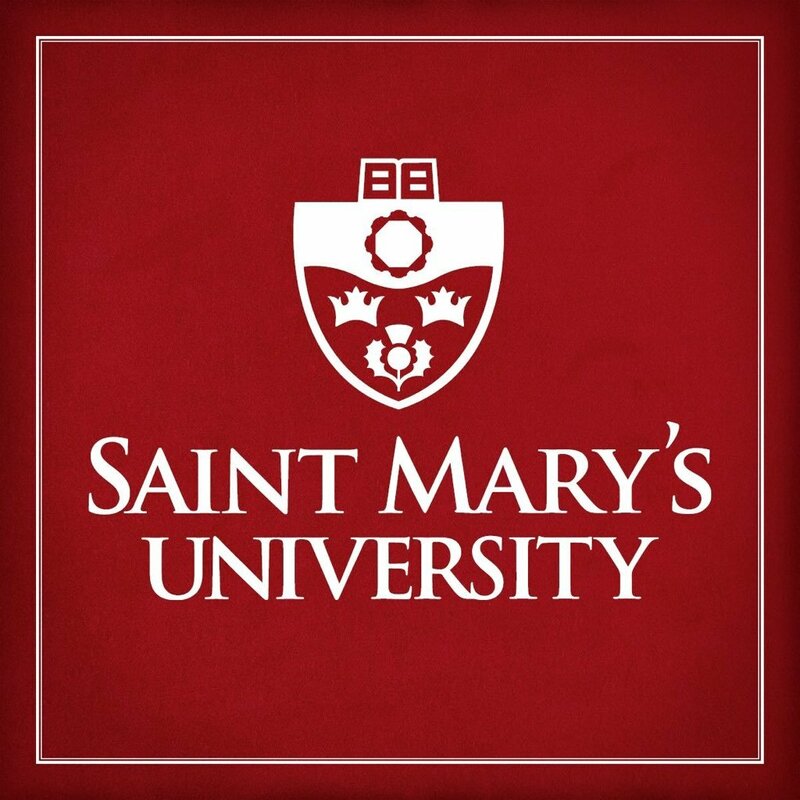 Must possess a High School Diploma and have at least 5 IGCSE/GCSE/CXC passes with a grade B, 2, or higher or equivalent passes in home country dictated by their governing Board of Education or Ministry and/or hold an Associate Degree with a GPA of 3.0 or higher from a regionally accredited university or community college. Should provide their SAT results for math and critical reading scores of 900 minimal or ACT score of 19. Applications are considered on an annual basis. 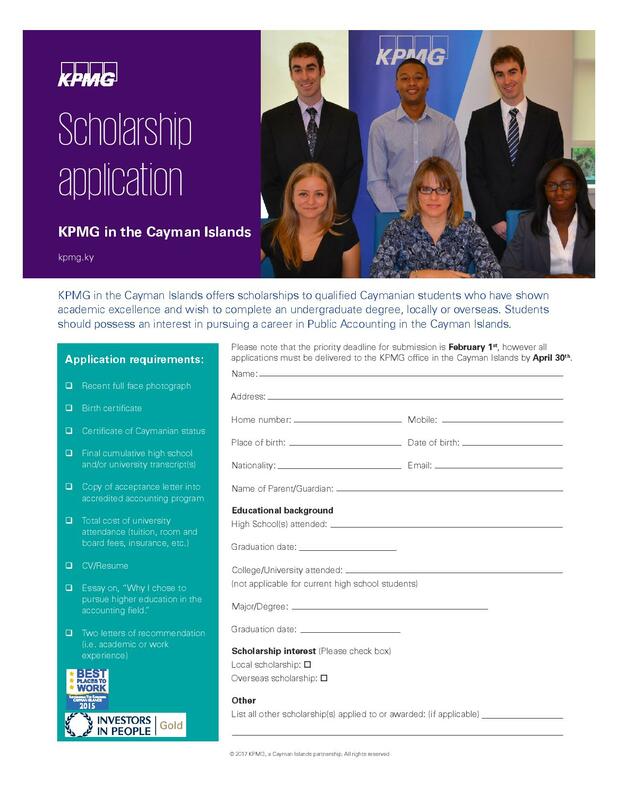 Applicants will be required to undergo an aptitude test administered by KPMG in the Cayman Islands. 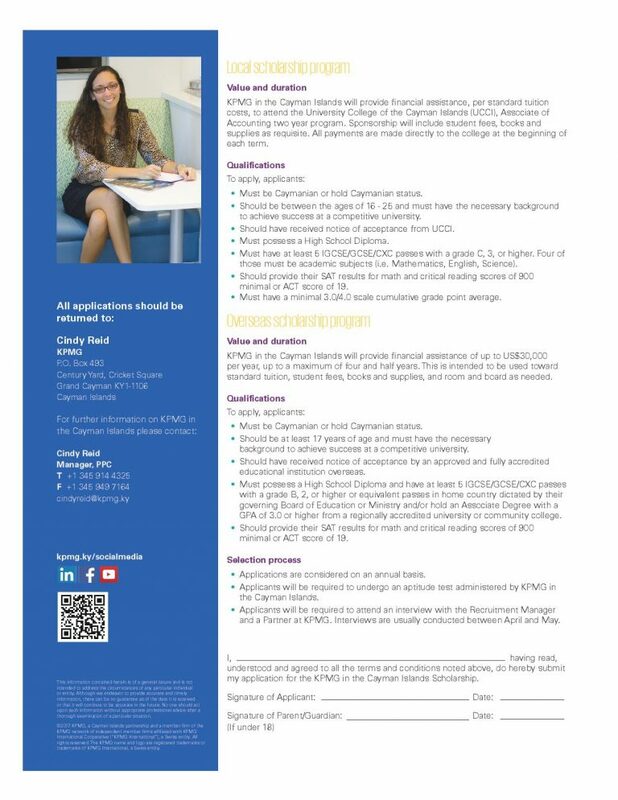 Applicants will be required to attend an interview with the Recruitment Manager and a Partner at KPMG. Interviews are usually conducted between April and May.